Did I hear right? I went up on stage to receive our award and could not believe it when the chairman said Acocks Green has been awarded ‘Gold’ in the Britain in Bloom campaign.’ What a great team effort from our volunteers, the council with the added bonus of all the wonderful planters and the BID. It really does focus people’s efforts on putting things right. Did anyone notice all the improvements made apart from the Smart Route which helped us to secure this coveted award? 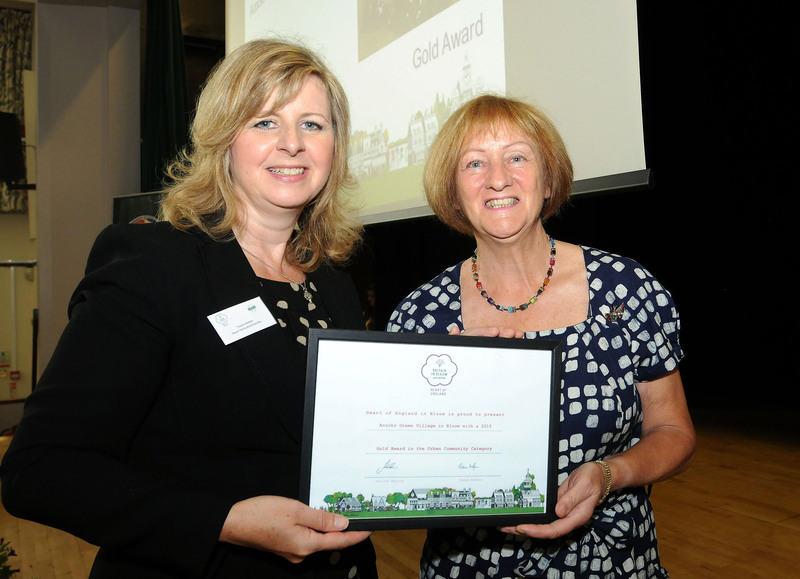 Fran Lee – Co-ordinator – Acocks Green Village in Bloom. This entry was posted in News and tagged Acocks Green, Acocks Green Village, Britain in Bloom, Fran Lee, RHS, Village in Bloom. Bookmark the permalink.